A statistical analysis of 18 years of data from all the U.S. states found no relationship between the degree of state control or regulation of homeschooling and the frequency of abuse of homeschool students. That is, low-regulation states experienced neither more nor less abuse of homeschool students than medium-regulation and high-regulation states; none of the regulation categories was significantly different from the other categories. The lack of a correlation undermines the claim that there is some causal relationship between state control of homeschooling and abuse of students. 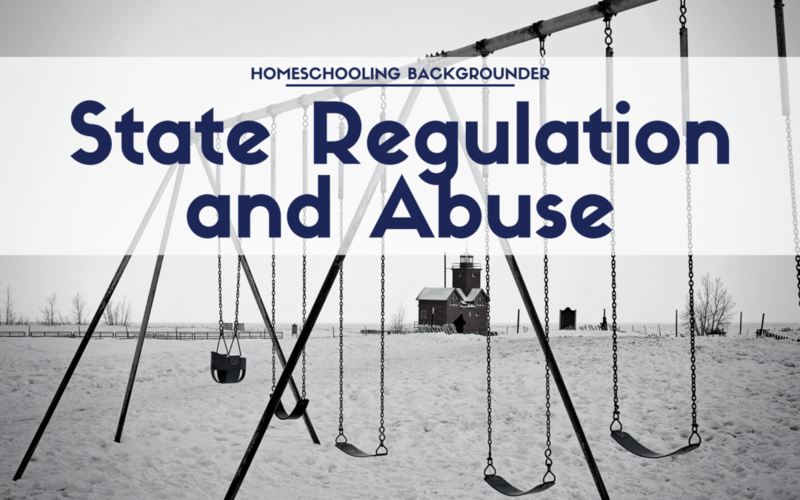 In this analysis, there was no significant correlation between regulation and homeschool abuse. The present study should be considered in the context of any other empirical research that has addressed the abuse or neglect rates of homeschool children (students) as compared to the abuse or neglect of students in public schools and private schools. “The limited evidence available shows that homeschooled children are abused at a lower rate than are those in the general public, and no evidence shows that the home educated are at any higher risk of abuse” (Ray, 2018; Williams, 2017).